The European Union lays down a number of requirements workplaces need to comply with in order to avoid workplace accidents and protect workers. Brady offers durable solutions to quickly align any facility with these EU Directives and with national legislation. By using Brady's durable pipe markers, safety signs, CLP-labels and area marking, industries can largely comply with European Union Directives 89/391/EEC to adequately protect workers, 92/58/EEC that obliges employers to provide safety signs, Directive 1272/2008 about the classification, labelling and packaging of chemicals (CLP) and national legislation. Brady's safety identification solutions are also aligned with the specifications in the relevant Annexes included with Directive 92/58/EEC. 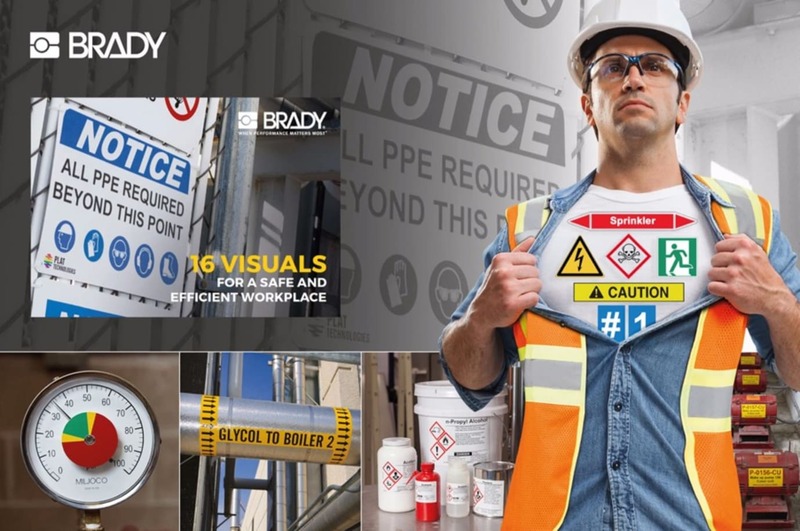 Make your workplace compliant with durable pipe markers, safety signs, CLP-labels and area marking from Brady. Discover practical examples in our 16 visuals guide. Tip: If you want full control over your workplace identification, you can print your own pipe markers, safety signs, CLP-labels and area marking. Upgrade your workplace!